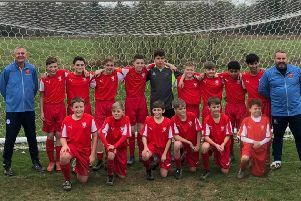 A football team from Hastings will be aiming to win a county knockout competition tonight (Tuesday). The JC Tackleway will face Rudgwick in the Sussex Bluefin Junior Challenge Cup final at the Sussex County FA headquarters in Lancing. Kick-off is 7.15pm. Tackleway, who play their home matches at Barley Lane, lie fourth in East Sussex Football League Division One. They’ve won six matches to reach the final, five of them away from home. Tackleway beat East Sussex League Division One title hopefuls Wadhurst United 3-1 after extra-time in the semi-finals, Hunston Community Club 4-1 in the quarter-finals, Sompting reserves 5-0 in round four, league rivals Hollington United reserves 3-1 in round three, FC Sporting 4-3 in round two and The Lectern 9-1 in round one. Rudgwick won 3-2 away to Upper Beeding reserves in the semi-finals, 2-1 at home to Barnham Trojans in the quarter-finals, 7-3 at home to Ardingly in round four, received a walkover away to East Sussex League Division Two side Peche Hill Select in round three and prevailed 3-1 away to East Sussex League Division Three runners-up South Coast Athletico in round two. 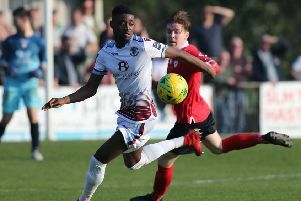 Rudgwick, who are based in a village in the Horsham district, lie third in West Sussex Football League Division Two North with nine wins from 10 matches.